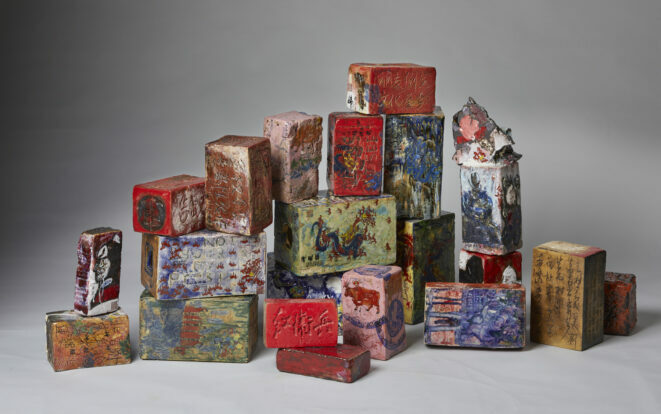 This Free Tuesday, explore Wanxin Zang’s series of glazed bricks, which he likens to canvases, diaries, sketchbooks and albums of life. From painted Picasso homages, to water slide decals and sculpted add ons, the bricks speak to both building urban environments and dismantling history. Step into the MakeArt Lab and see what story you can tell using the six sides of this unusual canvas. Turn your creation into functional design as a planter, bookend or candle holder.